Moving to Spain? We are in Spain! Move with us! Spain is the largest country in Southern Europe and the fourth largest country in the European continent. By population, Spain is the sixth largest in Europe and the fifth in the European Union. 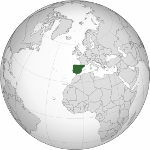 Spain has a varied climate; a climate with three distinct climatic zones, distinguished by their geographical position and elevation. The Mediterranean climate is the primary or dominant climate in Spain. It is characterized by warm and generally dry summers and cool, wet winters. Culturally, Spain is a Western country. Almost every aspect of Spanish life is permeated by its Roman heritage, making Spain one of the major Latin countries of Europe. Spanish culture is marked by strong historic ties to Catholicism, which played a pivotal role in the country’s formation and subsequent identity. Although Spain is one of the European countries most affected by the crisis, a survey conducted in 2012 by The Telegraph reveals that between expatriates it is favourite destination, ahead of other countries like Canada and Germany. In fact, the places with better quality of life and working conditions do not necessarily appear at the top of ranking (New Zealand). Most expatriates choose to move into Spain based on one main factor: the weather. Despite the diversity, mainly due to the geography of our country, most regions enjoy good temperatures, especially in spring and summer. Regarding the Spanish cuisine, the paella is the signature dish. Originally from Levante area, the recipe has been adapted and modified in several cities. In music, flamenco jondo is, by far, the most idiosyncratic music genre which moves the soul of any listener (regardless of their music tendencies). This sound, despite being identified with Andalusia, keeps a close relationship with Catalonia. (Flamenco strengthens in New York the brand Spain). Spain is known abroad for its celebrations, and this stereotype is confirmed true by almost every tourist that visits the country. The strong personality of this country in terms of popular events and parties (bulls, etc.) is attractive both for those who live here and those who arrive or will arrive. In northern Spain, it is worth mentioning the day of Asturias (on 8 September, in honor of the Virgin of Covadonga). Easter brotherhoods are also a popular item in Zamora, Malaga, Seville, Toledo. Other relevant celebrations include Carnivals in Cadiz and the Canary Islands, the majestic Fallas of Valencia, Moors and Christians of Alcoy (Alicante),or the national celebration of Hispanic Heritage (October 12) and National Day (September 11) or day Merce (24th of the month), the latter in Catalonia. La Tomatina Buñol (Valencia) and the San Fermin festival in Navarra, are two acts that can not forget during our stay in Spain. Spain is a country rich in culture. As in most cities, the artistic heritage is concentrated in a few key points. In Bilbao one can find the spectacular museum of contemporary art at the Guggenheim; in Madrid, museums like Prado, Reina Sofia, the Sorolla Museum and the Thyssen-Bornmisza host some the finest European art collections. In the area of Catalonia, we can find the Picasso Museum, the art of Gaudí expanded -Gerona, Tarragona … – MNAC (Museu Nacional d’Art de Catalunya), in Montjuïc, where you can enjoy wonderful views. The Botanical Garden. If we want to get away from “traditional”, we can come to the MACBA or CCCB (Centre of Contemporary Culture of Barcelona). Destination storage: we can offer storage service in any city in Spain. Insurance: We recommend hiring insurance for transoceanic or transcontinental shipments. Remember that we do not ensure costumer packaged goods. Delivery destination: You can choose the day of delivery for services door to door. Our agents in Spain will advise you on all the details of home delivery with the relevant restrictions. The importation of animals to Spain entails compliance with certain requirements detailed in the following link of the Ministry of Foreign Affairs. With Mudinmar, security and international transport of vehicles are guaranteed, as has a team ready to transport cars by road, sea and air. Madrid, is both a Spanish city and a country. It is the capital of Spain and the Community of Madrid. Madrid is the country’s most populated city, with 3,207,247 inhabitants in 2013. Including the metropolitan area, Madrid has 6,543,031 inhabitants, which makes it the fourth largest metropolitan area, and the third most populous city in the European Union. Barcelona, ​​is the capital of the region of Catalonia and it is the second largest city in Spain, behind Madrid. Currently, the city of Barcelona, ​​has 1,611,822 inhabitants. Bordered on the east by the Mediterranean Sea, north to Girona, on the south and west Tarragona Lleida. Mudinmar has chosen Madrid and Barcelona as two of the most representative cities of Spain. With the help of the useful website Euroresidentes, we begin to dissect the Spanish capital, noting the most interesting neighborhoods. First, we recommend the Salamanca district, with streets like Alcalá, Serrano, Colon, Puerta de Alcalá … ; Old Madrid, is located in the surroundings of the Plaza Mayor,and includes areas like Villa, Puerta del Sol, Plaza de Oriente; meanwhile, the Latina and Lavapies are special, with its ancient streets and the famous trail, in addition to its famous restaurants (Casa Botin); Malasaña and Chueca are booming two neighborhoods that have adapted to new trends. Barcelona has the closest neighborhood to the sea, called Barceloneta, particularly famous among its neighbors and the millions of tourists who visit it; at the other end we find the most affordable area to live, Sants district; area Bogatell / Ciutadella is located around the Olympic Port; and last but not least it is worth mentioning Eixample (Eixample), very well located and full of independent shops and supermarkets, where one can find the Sagrada Familia. Undoubtedly, El Born, El Raval and the Gothic are the oldest and most picturesque neighbourhoods, and is the place to visit if you are after real Barcelona experience. Montjuïc is majestic and La Rambla is also a must.